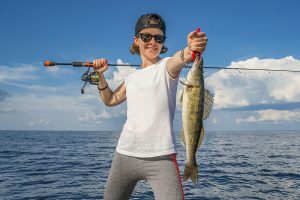 Saginaw Bay has little fishing activity from White’s Beach south to Linwood. There has been a fair amount of activity off Linwood with some anglers going as deep as 24 feet and taking good catches of walleye however anglers need to use caution as there is an active pressure crack off Linwood and at least one machine has gone through the ice. Changes in wind direction can cause water level changes under the ice and this caused a pickup truck to break through the ice last weekend. There was a fair amount of ice fishing off the Bay City State Park. On the east side, there was light fishing pressure from Sebewaing to Bay Port with most fishing just outside the islands and in the Slot. 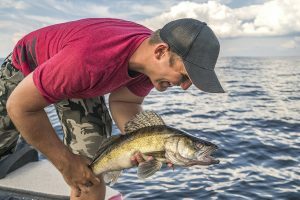 Perch, pike and walleye were taken in Wildfowl Bay. Sagin aw River has ice anglers fishing the length of the river, from Wicke’s Park in Saginaw all the way down to the mouth. 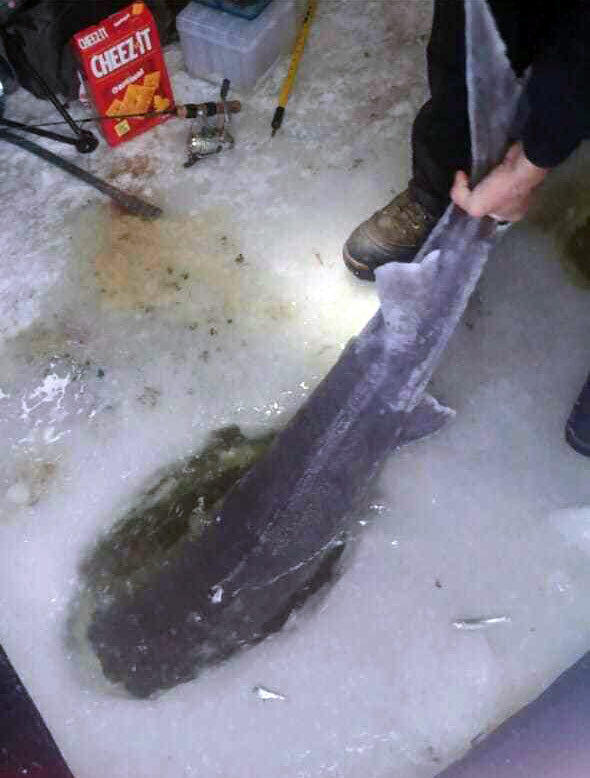 Ice thickness varies so anglers need to use extreme caution. Walleye were caught at most locations when using a fire-tiger jigging rapala tipped with a minnow head. Catfish have also been caught and a large lake sturgeon was caught recently. Anglers are reminded that any sturgeon caught anywhere in the Saginaw River or Saginaw Bay must be released immediately. 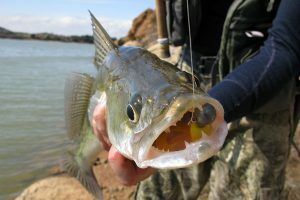 Keep in mind that handling these fish for any length of time in these temperatures can cause the gill filaments to freeze and result in the death of a fish so get them back in the water as quickly as possible. Au Gres Area most anglers were two to three miles out from the Pine River and off Palmer Road. 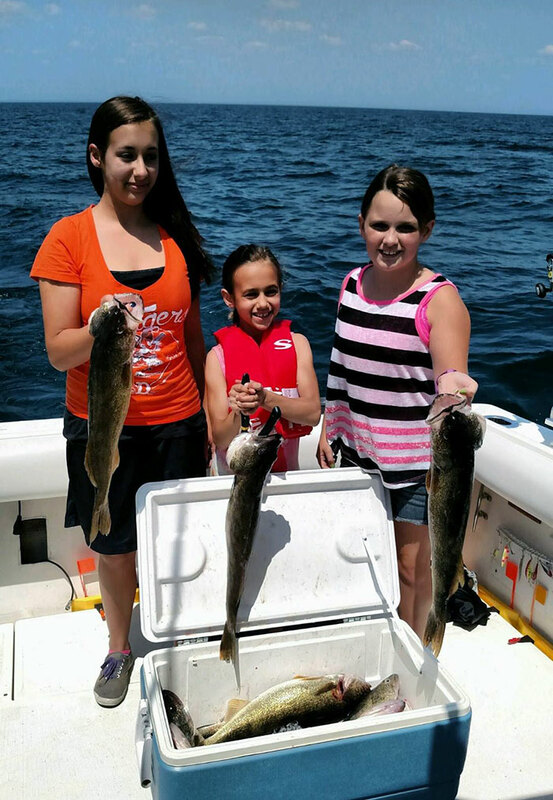 Au Gres River anglers were taking a few walleye. Some were fishing out on the bayou southwest of the river mouth but no reports had come in. Tawas Area those in the bay were targeting walleye, lake trout and burbot in 15 to 18 feet over the artificial reef. Those out toward the tip of Tawas Point were getting some walleye. Fishing Tip: Are you ready (and prepared) to go ice fishing? It may be cold, but it also means you can likely go ice fishing! Are you planning to head out? Then it’s time to get prepared to do so safely! Equipment: You’ll need some special equipment if you head out ice fishing. Take stock of your spud/auger, skimmer, shelter and apparel to have an enjoyable experience out on the water. Techniques: Pick your preferred ice fishing technique and the species you wish to target and brush up on your skills – whether that is hook-and-line fishing for bluegill, sunfish, perch or crappie; using tip-ups for northern pike, walleye or trout; or spearing for northern pike, muskellunge or sturgeon. Safety: You should always stay safe when heading on the ice. These five tips can help: 1) Never fish alone; 2) Tell someone where you are going and when you expect to return; 3) Always test the ice with a spud; 4) Take the appropriate emergency items, such as a lifejacket and ice picks; and 5) Take a cell phone with you in case you need to call for help. Keep it in a plastic, sealable bag to make sure it doesn’t get wet. 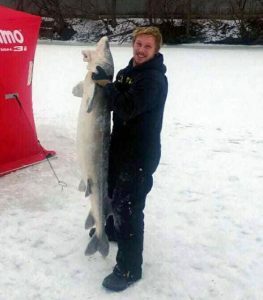 Want more information on ice fishing? 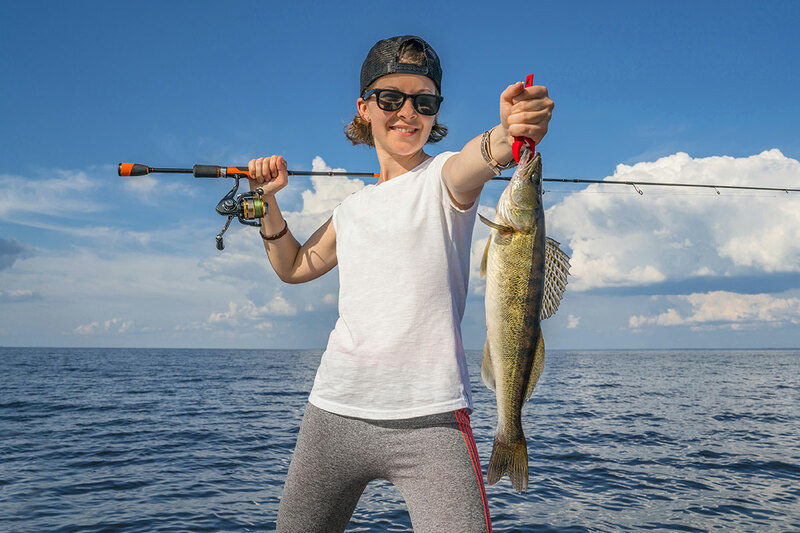 Visit Michigan.gov/fishing.